Berlin, Germany, 12 September 2018 – HENSOLDT presents for the first time its new tablet-based training system for train drivers at InnoTrans 2018, the international trade show for transport technology and vehicle systems. The new training system uniquely combines Computer-Based Training (CBT) with guided simulation, enabling theory oriented as well as practice-based training. Train drivers can thus easily extend their driving training to qualify for the latest standard of the European Train Control System (ETCS). The ETCS is currently implemented across Europe and all train drivers have to be trained during the implementation phase for the new standard. HENSOLDT’s new training system makes it easy for all train drivers to gain the necessary qualifications. The training system reduces on-site training times and thus increases the availability of train drivers. The system is also designed to ease learning by being very user-friendly. It guides the user step by step through the simulation training, while he always has access to the electronic reference guide. The training is also structured in individual modules, allowing the train drivers to learn independently and at their own pace. It can be used with the most popular Android tablets; other operating systems will follow. 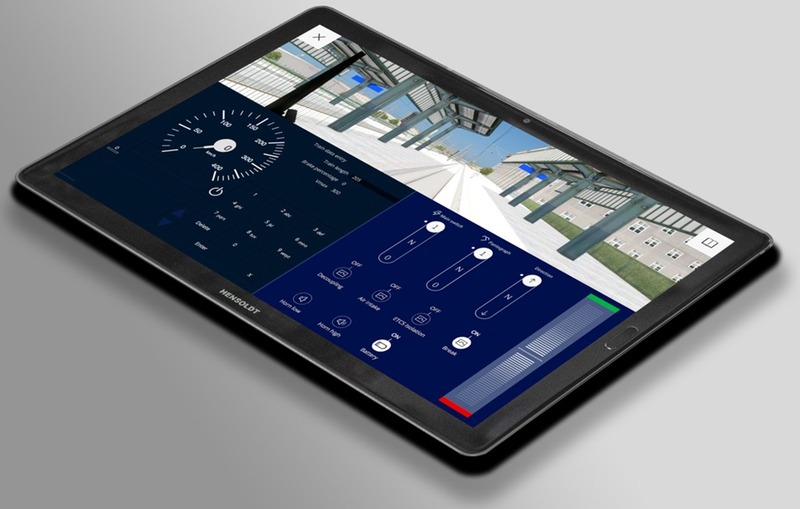 The new tablet-based training by HENSOLDT is the easiest way to qualify train drivers, sustain their knowledge and inform them of the latest releases of standards and procedures. It fits perfectly to HENSOLDT´s worldwide sold and comprehensive portfolio of Train Driving Simulators, reaching from CBT solutions up to Full Motion Simulators. See it yourself at InnoTrans in Berlin from September 18-21 in hall 6, stand 112. This entry was posted in Training and tagged Hensoldt, simulation, training. Bookmark the permalink.